Tanya and Eric actually met while working for Ask Beatrice. The main website includes both the design and technical aspects that brought them together as a team. When the engagement with Ask Beatrice ended, they decided to start Two Row. The brand for Ask Beatrice was colorful and fun. Our design for the site had to match. 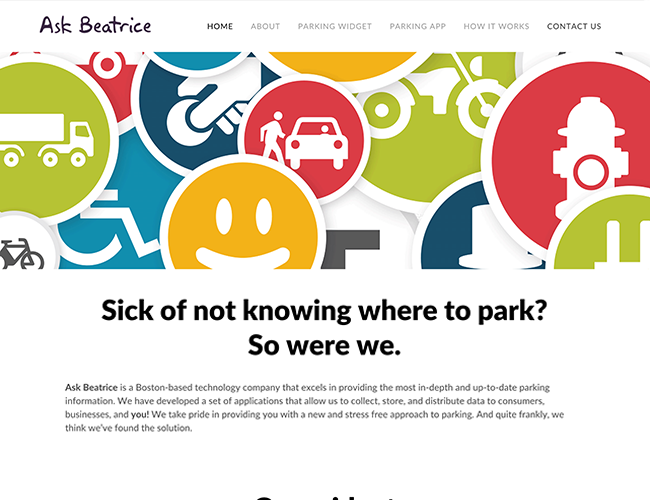 The icons and the layout had to describe the complexities of parking and how Ask Beatrice made them clear and easy. 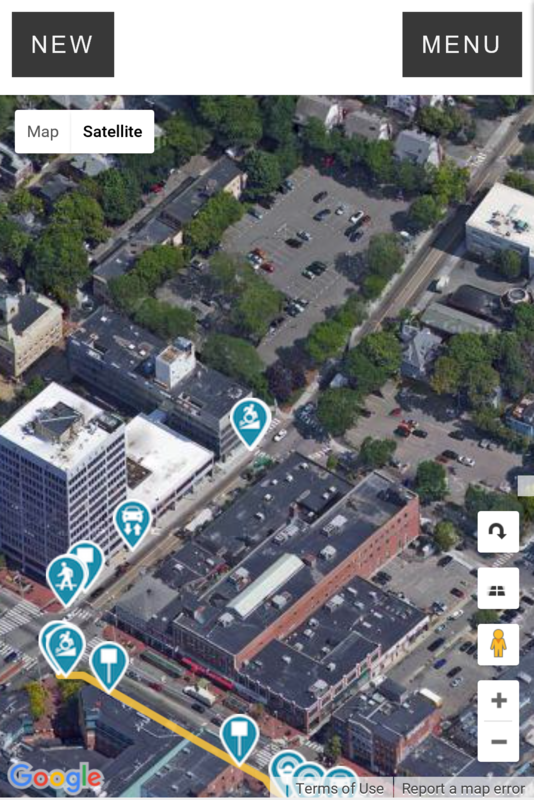 We built out the design and even incorporated a directory of merchant locations right into the site so visitors could easily find parking options before they even left the house. Ask Beatrice needed a way to reach users on the go. It had to be quick. It had to be intuitive. It also had to deal with a quagmire of parking regulations. Working with our partners at Greenfield, we design and launched an experience that had the app make it clear where you can park and for how long. We also told you how much it will cost (even if you try to bend the rules a little and get a ticket along the way). How do you get all the parking rules off the street? Yah sweep ’em up. 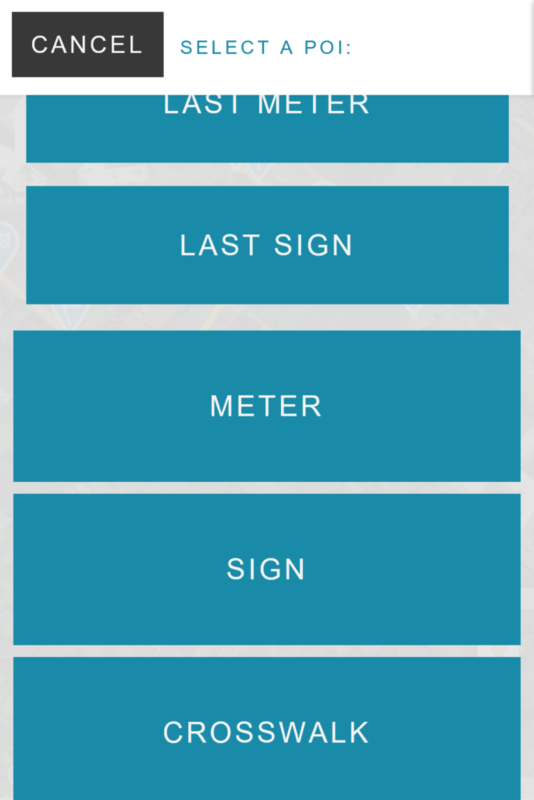 We designed and built a custom interface for Ask Beatrice using Amazon Web Services and custom HTML to allow people to simply geo-tag street signs, hydrants, meters, and anything else that affects the available (legal) parking on the street. Because it was a web app, the data could then be validated and fine-tuned while sitting at a desktop, too.